I got to meet Felicia Day! It was really fun! I think I first saw Felicia in Dr. Horrible's Sing-Along Blog, but I didn't really know who she was until I started watching The Guild a couple of years later. 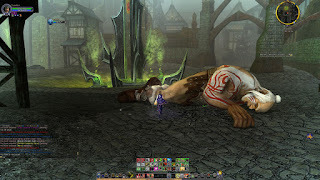 I don't personally play World of Warcraft, but a lot of my friends from a previous company did, and introduced me to the series through the amazing music video one-offs she did for it. Once I started watching the web series proper, I was completely hooked: I'm deep into fantasy, and gaming, and awkward relationships, all of which The Guild totally nailed. I've avidly followed her career since then. In particular, I've greatly enjoyed her Geek & Sundry YouTube channel, which has a really fresh and positive attitude towards video games and other elements of nerd culture. Her personal video journal series The Flog has introduced me to lots of great things I wouldn't have otherwise known about, and Co-Optitude (a series where she and her brother play through the console games they weren't allowed to play as a child) is always fun. Recently, she has shared some funny promotional videos for her new book, You're Never Weird on the Internet (Almost). The book just came out, and I was lucky enough to attend an interview and book-signing with her at the Jewish Community Center here in San Francisco. The event itself was fantastic. It was moderated by Jane McGonigal, who I hadn’t heard of before but sounds very interesting - she recently finished writing SUPERBETTER, a book about the neuroscience behind gaming. That shared background with Felicia made her a perfect interviewer. The whole program is available online if you'd like to see it! The overall event was very funny - Felicia is a quick thinker, with perfect reactions to a bunch of small unplanned things that occurred throughout the evening - but also very inspiring. She talked very frankly about her successes, the steps she took to achieve them, and the unexpected hardships that resulted. She spoke encouragingly to other people who want to become creators, sharing both specific and general advice in completing your projects and bringing them to the world. Two things from the talk especially stuck out to me. One was Felicia’s optimistic view of fan culture and the way it can bring us together as human beings. As she pointed out, a lot of the topics that are most important to us as individuals are also things that divide us from others. If I start talking about religion, or my political views, I’ll immediately alienate a good number of people. Similarly, people who come from different economic and cultural backgrounds will find it harder to relate to one another, since we don’t share the same experiences and reference points. Nerd culture, though, instantly transcends and cuts through all of those differences. If you’re obsessed with a particular show/game/book/movie, and find another person who shares that same obsession, then it doesn’t matter what race they are, what gender, what school they did or didn’t attend. You feel an instant sense of connection with them, and suddenly have a way to relate and enjoy one another’s company. I don’t think I’ve ever heard such an eloquent defense of nerd culture before, and it really resonated with me. Like a lot of people, I’m more or less ashamed of the things I love. I always feel kind of guilty when I talk about entertainment that I enjoy; it feels like I should instead be talking about the DEEP things, the things that REALLY MATTER, and not nattering on about some made-up stories. I think Felicia makes a great point, though. There IS value in the connections this shared culture enables. It’s a means of bridging the gaps between people, and can open the way to increasing empathy and understanding. That’s a very good thing! The other thing that particularly resonated with me was her inspiring rhetoric about creativity. How important it is to work hard and bring new things into the world. How we shouldn't worry about the people who will scoff or devalue the work we do - there's an infinite supply of criticism available on the Internet! - and should instead pay attention to the people who receive joy from our works. Even if only a handful of people enjoy the thing we do, we're still making the world an incrementally better place by making new things that they can love. And creation is not only a gift from the maker to the consumer, but it's also a privilege, a way to commune and communicate, to share our thoughts and ideas. That's something I immediately took to heart. As I sat there in the auditorium listening to her, I immediately thought of my own Shadowrun campaigns, which have been a major aspect of my personal creativity over the last two years. By many external barometers, they have been quite successful: well over twenty thousand people have played my games, they've been highly-rated, and I continue to receive many kind compliments from people who have enjoyed them enough to take the time to write me about them. And yet, I feel weirdly ashamed about them. I think that might partly be because very few people I know personally really understand the franchise and the lore; any time they come up in conversation, I try to change the subject as quickly as possible, afraid of... I don't know what, exactly. Boring people, or revealing an unsightly passion, or revealing that I cared too much about something and thus opening myself up to hurt if other people dislike it. After hearing Felicia talk and reading her book, though, I became determined to take more pride in my work. 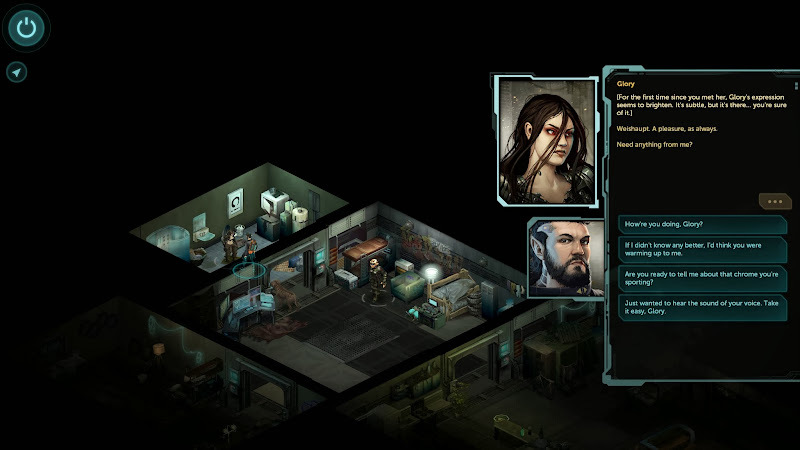 Plenty of people don't care about Shadowrun, but that's okay! I shouldn't obsess about that. I should pay attention to the thousands of people who have engaged with my storytelling, and even more than that, I should listen to the hundreds of people who have reached out to share their own joy. I don't know exactly what I'll do with this newfound outlook, but I'm hoping to carry it forward with me into future creative endeavors, focusing on the people I'm reaching and not the ones I'm not. There was a fantastic Q&A as well. I really liked the format - people submitted their questions on index cards, both before and during the event, then organizers screened them and the interviewer picked a few to ask. I would ordinarily transcribe what I remember of the best questions and answers, but since the entire program is available online, I’ll take a runner this time. I stuck around for the book-signing afterwards. As usual, I spent some time thinking of a single thing to say before meeting her. I vacillated between asking “Are you looking forward to Shadowrun: Hong Kong” (which had come out that morning) or thanking her for introducing me to Fallen London via the Flog. I settled on the latter. She got really excited when I brought it up, asking if I’d played Sunless Sea yet, and telling me that an upcoming Flog would be covering the latest game. As a veteran con-goer, Felicia is a master at dealing with slightly awkward nerds, and it was probably the best interaction I’ve had with any of the authors or celebrities I’ve met. I was planning to make a separate post when I finished reading You’re Never Weird on the Internet (Almost), but I finished it by the time I finished this post, so… here it is! First, a tiny little "wow" moment I had was reading Felicia's obsession with the Ultima series. I think we're about the same age, and Ultima was also an incredibly formative game for me. Felicia wrote poetry about it; I drew maps and wrote short fiction. In the book, Felicia talks about how she met other Ultima fans online and the funny/weird interactions they ended up having in the real world; I was lucky enough to have some real-world friends with a similar love of the series, and I strongly related to her reminiscing of shared enthusiasm for the wonderful gameplay and lore of those games. The book as a whole is a really fantastic memoir. Felicia has a wonderful voice, which you know if you’ve watched The Flog or her various public appearances. She’s very frank and self-deprecating, but also has a wonderful spirit and keen sense of humor. She eschews false modesty, but also places things in their proper context. For example, during college she was very proud of her 4.0 GPA (while pursuing a double major in mathematics and music performance). She still seems a little proud of it today, but is also very clear that it made absolutely zero difference in the rest of her life after graduation. One of her professors suggested that getting a B might be the best thing to happen to her, which she reacted VERY strongly against, while acknowledging from the present that he may have been right. Her personal upbringing was fascinating, and she draws a pretty clear line from it to her adult success. She was homeschooled, and grew up with NO friends at all. That was a deprivation in many ways, but the advantage was that, without any peers, she never had anyone to tell her “No” about any of her obsessions. There weren’t any boys around to tell her that girls couldn’t play video games; there weren’t any girls around to tell her that math was hard and dumb; there weren’t any teachers around to keep her from watching Lost in Space every morning. So, by the time she went to college and did start encountering peer pressure to conform, she was secure enough in her likes and dislikes to hold on to the things she loved. If she’d faced those pressures earlier in life, she might have lost those passions, and ended up with a much more mundane career. Of course, there are also downsides to that lack of socialization. Throughout the book, Felicia is extremely honest (although also funny) about her struggles with anxiety, panic attacks, and imposter syndrome. Ever since childhood she’s had a deeply-ingrained need to succeed, which pushes her to always try harder and never feel like she’s accomplished her goals. Even in situations when the people around her are praising her accomplishments, she obsessively focuses on the imperfections of her creations. That drive has contributed to her career, but has also made her miserable. One of the major points Felicia makes, and observes that almost nobody else does, is that success does not make things better. As she points out, that sounds like a dishonest thing to say - “If you achieved your dreams, you would hate yourself!” - but she’s hoping to help warn future people who may follow in her path. It’s easy to think to yourself, “Oh, if only I could accomplish this goal, I would be happy!” Then you accomplish that thing, and you don’t magically become happy, and the fact you don’t become happy after working so hard and making so many sacrifices makes things even worse. The book is extremely frank about her struggles. When she seemed to be at the peak of her career - The Guild extremely popular, she had launched a multimillion-dollar company, and was featuring in a popular television series - she was suffering from depression, had massive health problems, and obsessively thought of suicide. She’s also very candid about what she did to pull herself out of that hole, including the things she tried along the way that didn’t work. The last couple of chapters are about her interactions with the misogynistic GamerGate mob, a topic that’s horrified me ever since it began. Much of this is in the public record already, but she shares some additional information in the book that underlies how terrifying the situation was. That whole story is so sad on so many levels. 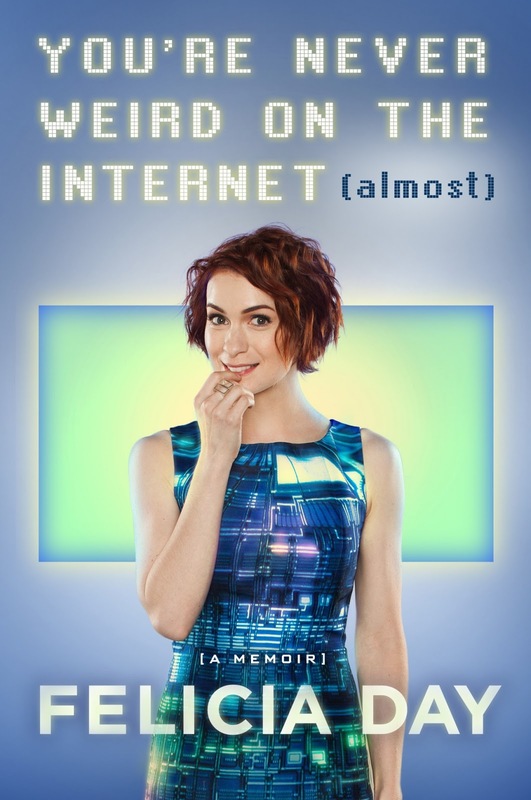 You feel bad for what’s happened to Felicia, and how terror tactics are being used to silence women in the field, but in the context of this book what’s especially tragic is how it seems to strike at the very heart of her optimism about the Internet and nerd culture. Virtually all of her experiences up to that point, from her Prodigy dial-up days onward, saw the Internet as a way of connecting with other people, of discovering like-minded individuals unfettered by the constraints of geography or lifestyle. It’s an engine of creation, of germination, capable of cultivating and birthing wonderful new things that could never be born in the traditional physical world. The sad take-away from these last chapters, though, is that the Internet can be turned to evil purposes as well as good. It can destroy things, destroy people, crush ideas before they have a chance to grow. Felicia’s solitary nerd childhood allowed her passions to flourish away from the harsh judgment of peer pressure. If she grew up today, though, and shared her early works online, an army of millions of trolls would stand at the ready to crush her dreams into the ground. The Internet is a wonderful tool for bringing together communities of people who share a love about something, but it’s also a deadly tool for organizing hate mobs who feed on each other’s self-righteous anger. Felicia herself remains mostly optimistic about the Internet. During the Q&A, when an aspiring YouTube vlogger asked her for advice on growing her channel, one thing Felicia emphasized was building a core community who enjoys you and supports your work, rather than chasing a larger number of people who will be fickle admirers. These days, Felicia feels most connected to smaller communities, like her GoodReads book club and her Twitch subscribers. There are many trolls out there, but also lots of wonderful people, and she tries to stay focused on the good. So, yeah! This was a fantastic book, in all honesty much better than I was expecting. I had hoped for a funny read and maybe a bit of gossip. It delivers, but it’s also a very engaging personal story and has some very valuable insights on navigating the digital world we live in, how to accomplish our goals, and how to stay happy and sane while doing so. 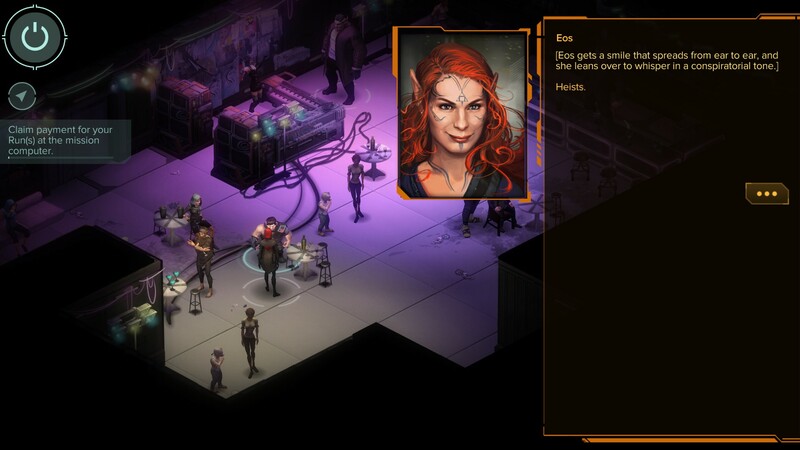 Shadowrun Hong Kong comes out on Thursday, which gives me a little spare time to explore other gaming options. 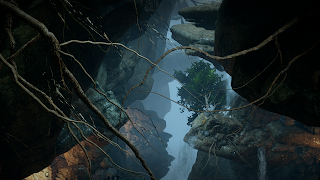 I decided this would be the perfect chance to check out The Descent: it's an expansion DLC for Inquisition, so I figured I could enjoy a relatively short experience that built on a franchise I already enjoyed. It ended up being a lot of fun. Maybe even shorter than I expected, but nicely focused: there's a central compelling threat to resolve, gorgeous new areas to travel through, and some good meaty combat. The environment may have been the highlight for me. 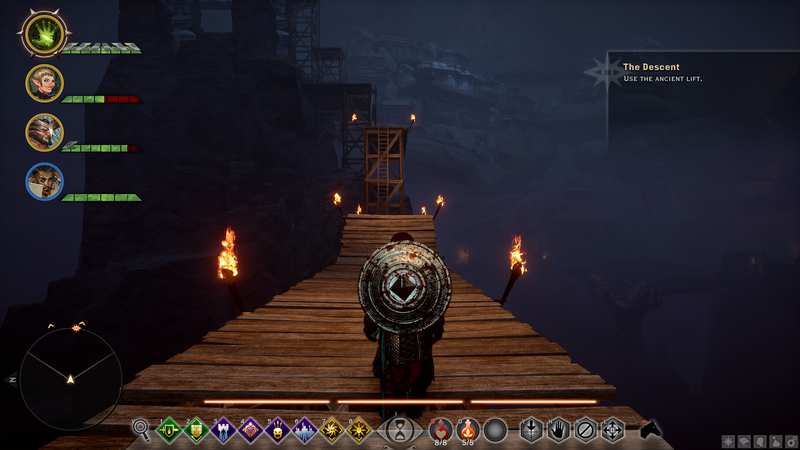 I'm one of the few people who enjoyed the Deep Roads back in Origins, and this version is even better: huge vistas, towering use of vertical space, terrific dwarven artifacts. 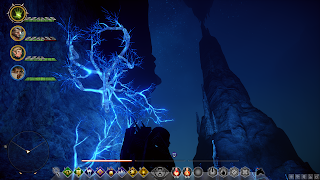 Ever since the Vinmark Chasm, BioWare has achieved mastery of crafting underground caverns that feel airy: you can accept the light and the occasional trees while still feeling like you're buried deep below the earth. The expansion also adds a new miniature version of the War Table specifically for the Deep Roads, and there are quite a few operations to undertake. Which was great, if for no other reason than finally giving me some way to spend the vast quantity of useless Power I had accumulated. 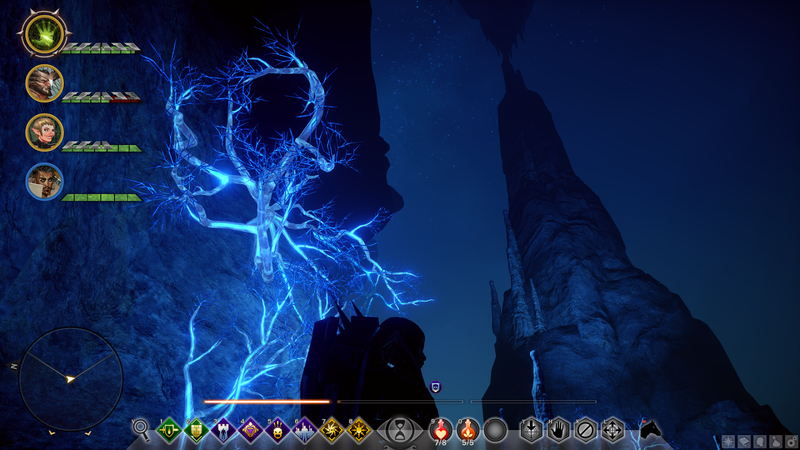 What's especially cool, though, is seeing the handiwork of the Inquisition alongside that of the ancient dwarves. You'll walk down a crumbling stone tunnel, standing in the shadow of an enormous paragon statue that could never be built today; and also see a walkway made of freshly-hewn boards bridging the chasm, forming a latticed scaffolding up the statue. The old and the new are completely different with their own visual styles, and each makes sense, carrying out its unique purpose. I thought a lot about the Jaws of Hakkon while playing the Descent and the various ways in which one is better than the other. 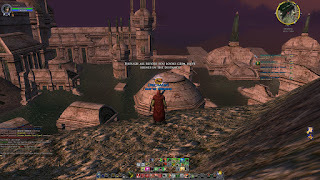 A lot of people complained about the shard quests in Hakkon, which were a part of the base game that many people didn't enjoy. The Descent doesn't have nearly as much exploration as Hakkon, and much less area as a whole to explore. There aren't any shards as such, but there are ancient gears to collect, which serve a similar purpose. But for the most part there's just a single path to follow, with an occasional branch or loop, and you can easily get everything you need by following along without spending a lot of time exploring. This could be good or bad depending on your perspective, but personally I'm a fan of tighter, more curated experiences. Well, I am when it comes to exploration, at least. Unfortunately, the plot runs on rails in much the same way that the map does. I wasn't expecting any big branching choices like In Hushed Whispers or Champions of the Just, but I was hoping for at least a few smaller meaningful choices to make like there were in Hakkon: how to handle certain situations, whether to show mercy or sternness, etc. Instead, you're basically just along for the ride. Your reactions are essentially limited to "Tell me more!" and "Please tell me more!" I'm pretty sure I won't replay this DLC on any of my other Inquisitors, since it would basically just be a repeat of this game. That even extends to the choice of companions. One of my favorite aspects of Hakkon - heck, possibly my favorite overall - was all of the new companion banter they added. In The Descent, I brought along Team YOLO - Sera, Bull, and Dorian - hoping to hear some more of that lovely sassy banter. Nope. Dorian had a few brief quippy asides, but nothing significant. Bull and Sera each got one line at the very beginning, and didn't give a single peep throughout the rest of the game. 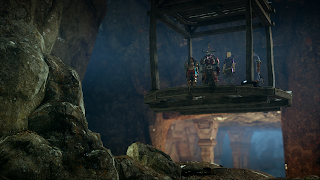 I dunno... maybe I should have brought other folks along, it would make sense for Varric to be a bit more impressed at what we found. But given the total lack of participation from Sera and Bull, I'm not optimistic that anyone gets much to do, certainly nothing like the companion quests we got in Mark of the Assassin. 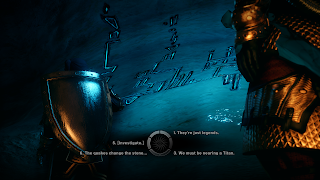 One nice thing about the dialogue, though, was that it acknowledged my inquisitor's dwarf heritage. Aztar grew up on the surface and isn't super-familiar with dwarf culture, but she was able to recognize some of the dwarf runes encountered, which was a small but very appreciated touch. I know that some players were bummed when their Elf inquisitors at the Temple of Mythal were like "Dur what's a Mythal? 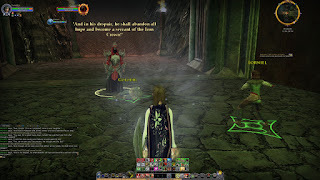 ", and it seems like the studio is being a bit more studious in how it presents ancient lore to different backgrounds. Speaking of lore - we get some really nice lore bombs in here. We learn about the Titans, and the nature of lyrium, and witness a dwarf casting magic. That could have huge implications for future games, even for gameplay - who knows, maybe in DA4 it will be canonically legal to roll a dwarf mage. 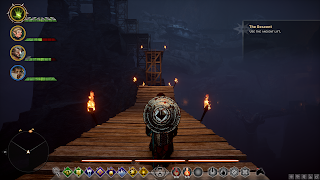 Before starting the Descent, I'd assumed that it would cover some of the plots foreshadowed by Inquisition: Kal-Sharok, the Warden's attempts to cure the Calling, the corruption of lyrium by the blight. None of these are directly addressed, but the more I think about it, that does make sense. It would be a bummer to lock crucial plot developments behind $15 DLCs, so DA4 would be a much better place to resolve those. I increasingly feel like the ideal purpose of DLC is not to tie up old plot lines, but to lay the groundwork for new ones. 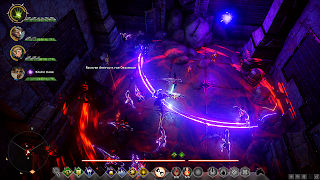 In retrospect, Legacy was a kind of perfect DLC: it was a fun and interesting story in its own right, while also laying the groundwork for Inquisition. I think that's probably what's at play in The Descent, more so than in Hakkon. And finally, a random note: I almost burst out laughing when I was attacked by machine-gun-wielding dwarves for the first time. It was a total flashback to playing Might & Magic VI and seeing sci-fi weaponry buried deep within my fantasy RPG. "What! Is! Happening! Here!" The combat in Descent is really nice. The very final boss fight was a little underwhelming for me, but a lot of the boss fights leading up to it were very fun, with some unique mechanics that kept me from just sticking to a standard boring tank-and-spank approach. Soooooo, should you buy The Descent? If you love Dragon Age and have the money, sure. If you're at all cost-conscious, you might want to hold off. There's great stuff in there, but no answers to immediately pressing questions. I thoroughly enjoyed my time there, but there's much less content than in Jaws of Hakkon, and the content that is there has much less replay value. While playing the game and writing this post, I found myself frequently thinking of an awesome recent talk by Anthony Burch titled Plot is Dumb, Character is Cool: Writing for DLC. He mostly uses the Borderlands franchise as an example, but I found myself constantly thinking of Dragon Age while watching it, and thought of that video a lot while playing The Descent. I had a great time with this expansion, but would have enjoyed it even more if it had let me spend more meaningful time with the people from Inquisition who I already loved. Oh! Almost forgot - here's the requisite album of screenshots, filled with spoilers for your pleasure. 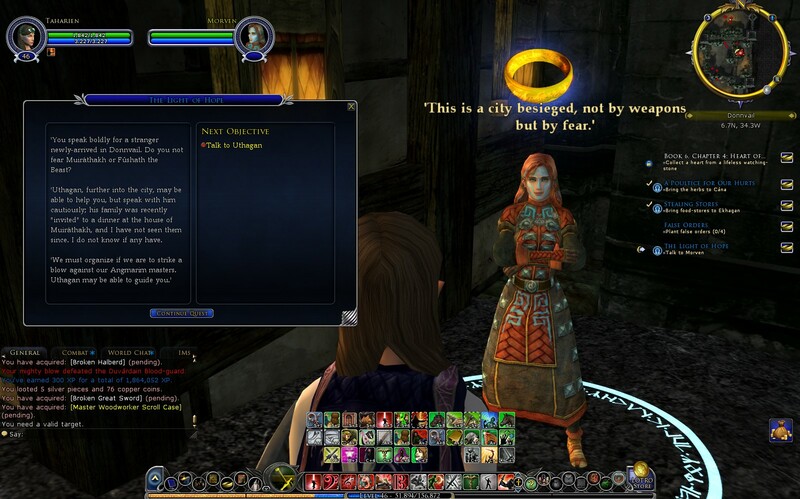 Well, how's this for a milestone: I've reached Level 50 in Lord of the Rings Online! That's a nice, round number. Significantly, it was also the level cap of the game when it first launched. I'm now at what used to be the end-game grind; that was eight years ago, though, and now it's merely an exclamation mark on my journey to Mordor. Turbine (the game's developer) has done a lot of work over the years to streamline the gameplay and make it less daunting for newbies like me. Back at launch, everyone was hitting the same content at the same time, so they could make certain quests and sequences challenging enough to require players to group up and complete them. Now, it's much harder to find a large group at low levels, so those big quests have been updated so they can be soloed by someone on-level. Most often, this is done by providing the "Inspiration" buff at the start of an instance, which massively boosts your character's Morale and other stats. The actual content still plays out the same as before, but you can do the work of six people. This isn't to say that group content has been removed from the game entirely. 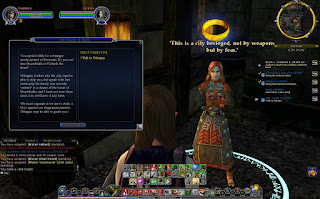 There are still plenty of Fellowship and Small Fellowship quests along the way that provide more challenging goals for people traveling in a party. But content in the epic quest line and other significant gates doesn't require grouping, and there's plenty of experience and loot to be found elsewhere. The end result is that I've been able to play the MMO like I would a single-player RPG, which is exactly what I wanted to do. It's been really fun to solo, now that the grind has been streamlined away. As noted before, I'm purely a Warrior-Skald ("red-line") minstrel. I unlock useful skills like Call of Orome. Since Ballads are low-damage, I don't bother with the traits that boost them. My goal is to focus on Calls and Cries as much as possible, not to improve the lackluster Ballads. I typically open from max range a fight with Call of Orome, which does a lot of damage and also lowers their Light resistance to my follow-up attacks. This does have an AOE, which can be good if I want to pull multiple weak targets; in the very rare case that strong enemies are tightly clustered, I'll open the pull with a Minor Ballad. Piercing Cry! Probably my favorite skill. It deals a lot of damage, and (once traited) has a high chance of stunning the target. If it lands, I have a great chance of finishing the encounter before taking any damage. If I'm 5+ levels above the enemy, they're probably dead by now. Call to Fate! This is the highest-damaging skill in my normal rotation. It hits like a truck. Any standard on-level enemy is probably dead by now. Signature enemies on-level are probably down to about half Morale. Lower-level Signatures have a sliver of health left. Note that these 3 abilities each have a 10-second cooldown, so they sync up nicely. As I'm running through an area, I'll burn down an enemy using these three; by the time I reach the next enemy, 6 seconds have probably passed and I'm ready to start over again. For tougher enemies, I'll need to keep fighting until my cooldowns finish. My standard MO here has been Minor Ballad -> Perfect Ballad -> Minor Ballad -> Coda of Fury. This takes 6 seconds to complete, preparing me for Call of Orome again. But that usually isn't necessary. The ballads do small damage, but the Coda hits about as hard as Call to Fate, so even on-level Signature enemies are usually dead by then. For gearing, I prioritize Will, Fate, and Vitality, preferably in that order. I've just been using quest reward stuff so far, not bothering with the auction house or crafted gear. One tough call to make is when to trade in a matched set with lower Armor but extra set abilities for higher-level pieces with higher armor. Right now I'm still wearing the Fem gear at level 38, but will probably start swapping that out for level 50 Unique pieces. Let's talk story, shall we? That's great so far as it goes, but it does mean that in the eternal struggle between Elder Scrolls-style breadth and Dragon Age-style depth, LotRO tends more towards the former. The specific problem that I kept running into is that there are just so many characters. Easily hundreds of NPCs with speaking parts, probably thousands. The vast majority of them serve purely mechanical purposes: they'll stand in an area, give you quests while you're at a particular level, and then you'll never speak with them again. A few of them tie into longer-running and more important plot arcs. 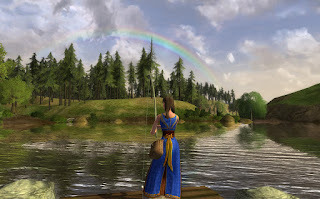 Unfortunately, though, it may be weeks between the time you first see a character and when they pop back up again, because you were too busy trying to catch rare fish off the docks in Celondim to follow the epic quest. And even if you just saw them the day before, the graphical character limitations make it really difficult to distinguish particular NPCs. For example, later in the game, the Rangers of the North become rather important. There are multiple Rangers. However, they're all men who wear long green hooded cloaks, so their in-game models look the same. And we don't get strong, personality-conveying 2D portraits like you would see in Baldur's Gate or Neverwinter Nights or Shadowrun Returns: there's a procedural portrait based on their 3D character model, and while these can have many technical variations, they don't differentiate as clearly from one another. Plus, for better and for worse there's very limited voice acting, so you can't necessarily tell them apart via audio, either. All that to say: the story feels really cool, and individual parts of it seem exciting and lore-friendly and everything, but I often felt a bit lost. I'd be standing in the middle of some huge, climactic, epic confrontation, wondering ".... who are you again, exactly?" Of course, a quick trip to the Wiki will clear things up, but that makes me even more impressed at the people who played this game at launch: they didn't just need to play under a more difficult curve with slower progression and more grinding, but that also meant that they had to go for even longer between major story beats. There's one particular part of the plot that sticks out in my mind, for slightly negative reasons but also because it's interesting and recent. That has to do with Lorniel, the daughter of Golodir, one of the many Rangers who I can't tell apart. As I understand it (from my scattered memories and a few quick wiki searches), Golodir was a lieutenant of Aragorn who defied his leader's order to withdraw from the northern lands. 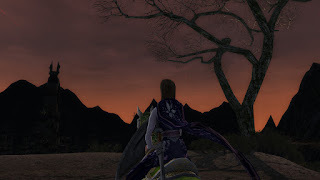 Instead, he gathered a few other like-minded followers and vowed to bring the battle to Angmar. They went north, and then disappeared. Most of the other Rangers believe that he must have been killed, but Lorniel is convinced that he still lives and enlists you to find him. Eventually, you and Lorniel track him down in Carn Dum. He was captured and is being held prisoner by Mordirith, the Steward of Angmar during the Witch-King's absence. Mordirith himself was once a King of Gondor who fought against Angmar, but was corrupted by Sauron and turned to evil. Mordirith could easily have killed Golodir, but he had more sinister plans. 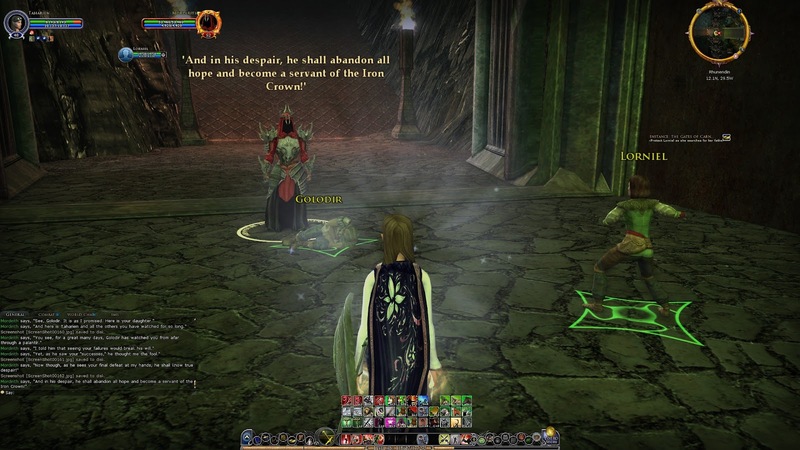 He has allowed you and Lorniel to "rescue" Golodir, only to brutally murder Lorniel before her father's eyes. Mordirith then allows Golodir to leave, content that he has sowed the seeds of despair and hate that will bring him over to the Enemy's side. I winced at that part of the story - it's a pretty textbook case of the Women in Refrigerators trope which is widespread in popular culture, particularly in video games. I'd enjoyed adventuring with Lorniel and thought that she could be a cool character in her own right, but instead she is killed off to give the male character angst and motivation to take action. 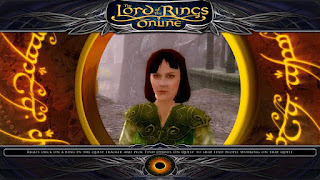 That said, while that particular incident was unfortunate, it did help highlight how, in general, LotRO is actually refreshing in its portrayal of women. Throughout the game you're just as likely to find women in charge of military outposts, leading villages or fighting orcs as you are to find men doing the same thing. And unlike a lot of video games, they're not stuffed into chainmail bikinis or skintight bodysuits or other highly sexualized clothing. They're equal partners in the struggle against Sauron, visually distinct and appealing but not objectified or marginalized. And, even the specific Lorniel case is far from the worst offender that I've seen. The story focuses on her relationship with Golodir, not with you; it's not so much a hacky way to motivate the player as a somewhat lazy source of dramatic tension. And I'm holding out hope that the game will ultimately subvert the trope. Usually, these sorts of plots are rolled out to give an antihero protagonist carte blanche to perform all sorts of atrocities in the name of revenge. Given the values of the rest of the game, though, I wouldn't be surprised if Golodir ultimately finds redemption not through acts of vengeance but through acts of compassion. So, while the plot's particulars may seem fuzzy and indistinct at times, I still unreservedly love it, because of how well it maintains Tolkien's flavor and a wonderful sense of moral centeredness. 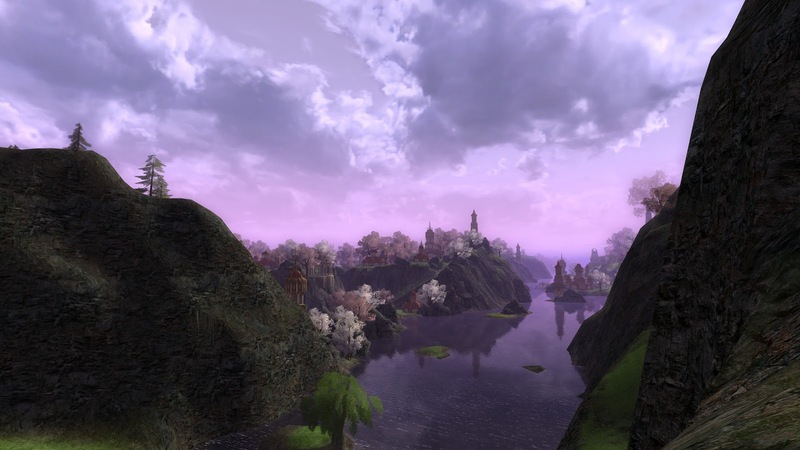 There's a beautiful line at one point in the game, when your character is standing on the ramparts of the ruins of Annuminas and gazes out at Lake Evendim: "Though all before you looks grim, hope shines in the distance." That's one of the most perfect distillations of Tolkien's literary style and philosophy that I've read. Much of the Middle-earth writings, from the Silmarillion through Lord of the Rings, deals with the importance of hope. When the world turns dark and dangerous and ugly and scary, it's more important than ever for individuals to maintain true to their best selves, to act faithfully towards one another, to show mercy upon their enemies, to act humbly and accept grace. We must set our standards even higher when faced with adversity, not descend into the muck. That's a rare outlook, and one that's almost completely missing from the world of video games. 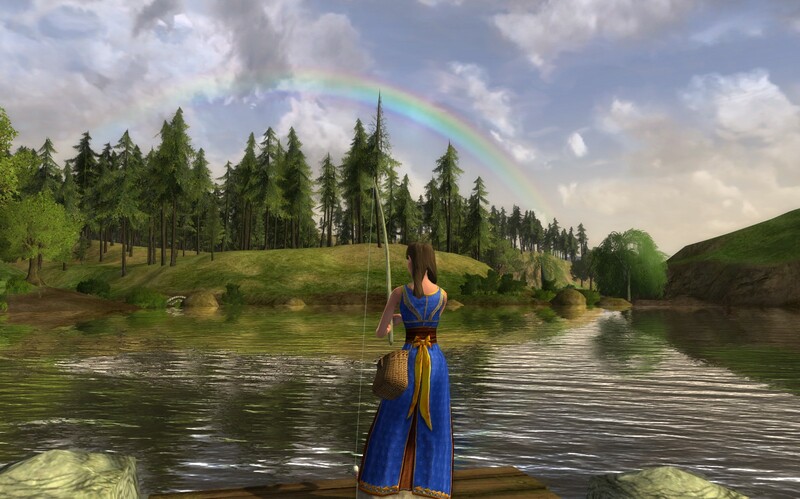 It's delightful to see it captured and expressed so well in Lord of the Rings Online. n.b. I have of course - of course! - continued to take a ridiculous number of screenshots. This covers levels 44 to 49, mostly in Angmar but with a lot of time spent having fun with Summer Festival activities.